BRONXVILLE, New York (WABC) -- The Westchester SPCA says they rescued a dog in distress on Wednesday on the corner of Oriole Avenue in Bronxville, near Concordia College. 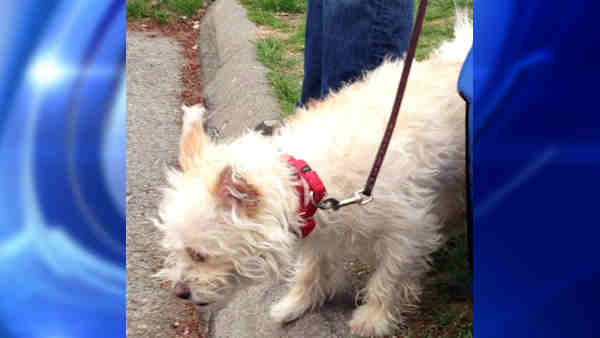 Officials say when they arrived to the scene, they discovered what looked to be a West Highland Terrier mix abandoned and in a pet carrier with no food or water, and left out in the sun. The SPCA was named Lambchop but has recently been renamed Miley. SPCA officials say they are thankful someone called them to report the dog on the side of the road. "Lambchop didn't have to spend the night outside where he would have been vulnerable to wildlife and colder temperatures or could have fallen into the wrong hands," said Director Ernest Lungaro. The dog is doing well at the SPCA and seems to be in good health and will be ready for adoption shortly. Anyone with any information regarding this dog to please call the SPCA's Animal Cruelty Hotline at 914-941-7797.